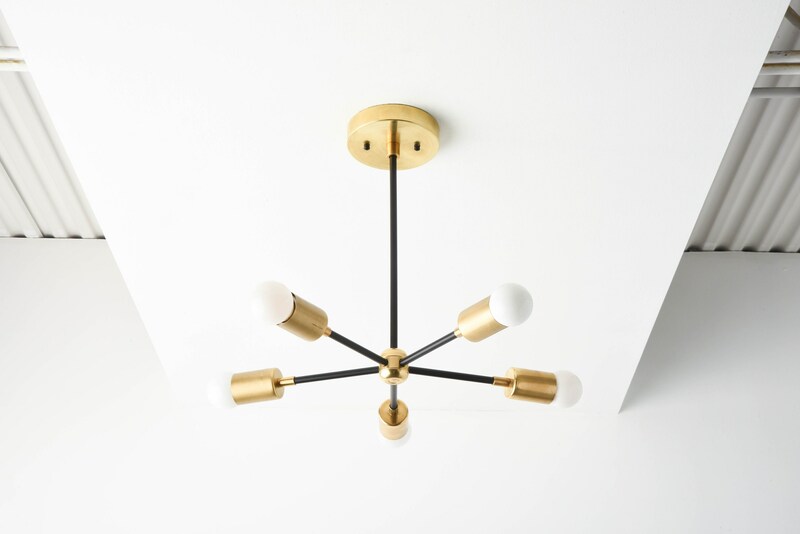 The perfect Mid Century chandelier! This is our best seller and works beautifully in dining, living and bedroom spaces. It is handcrafted with love right in our Houston, Texas shop. 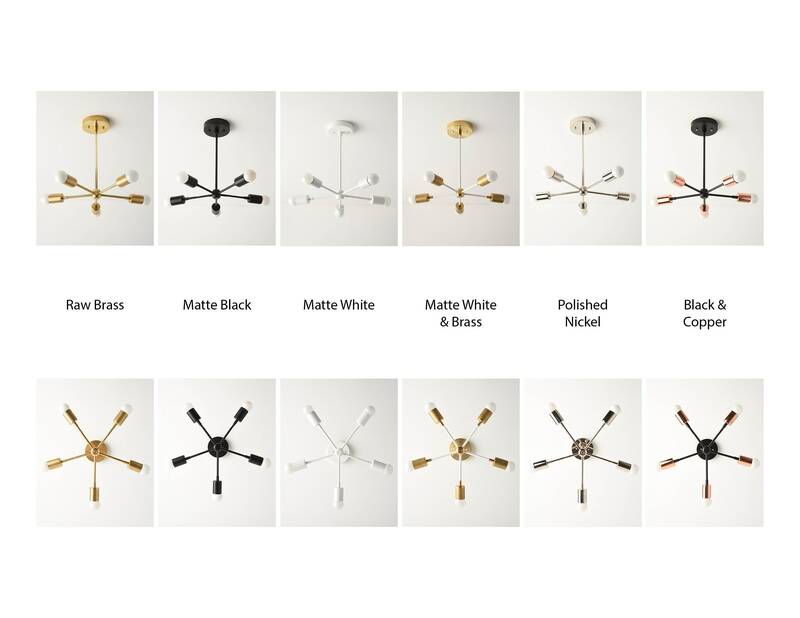 It comes in a variety of finishes and, like all of our fixtures, carries a lifetime warranty. If you have any questions please let us know. Thanks for checking us out! Love our new fixture, and really appreciated working with the shop to get exactly the look I wanted. Arrived in perfect condition and very easy to install. All around great - I highly recommend! 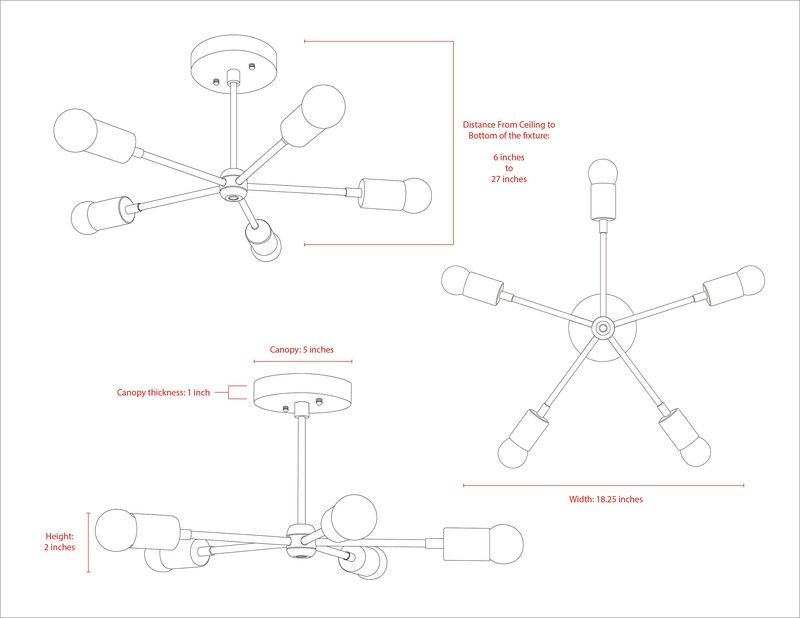 The light fixture is as pictured. However, the installation involved improvisation and creativity. The bracket that was supplied seem to be missing pieces which would allow for a smoother/simpler installation. Fantastic quality. Everyone is happy. 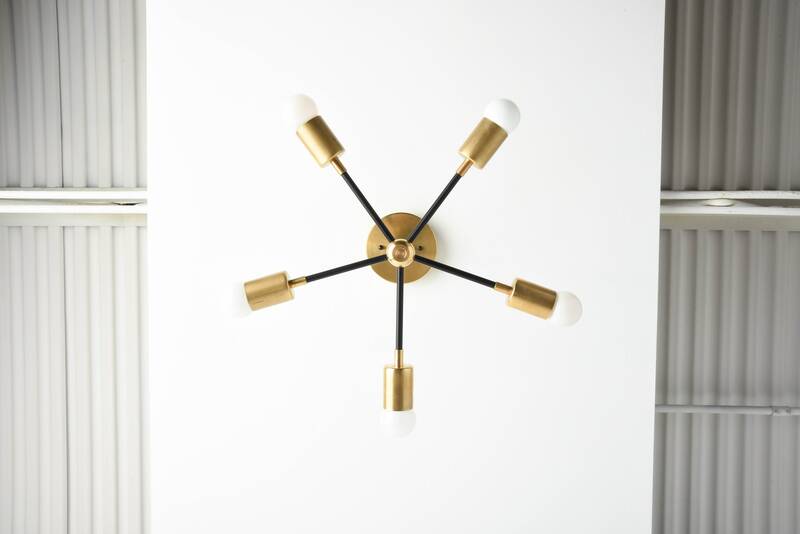 Love this light fixture!! 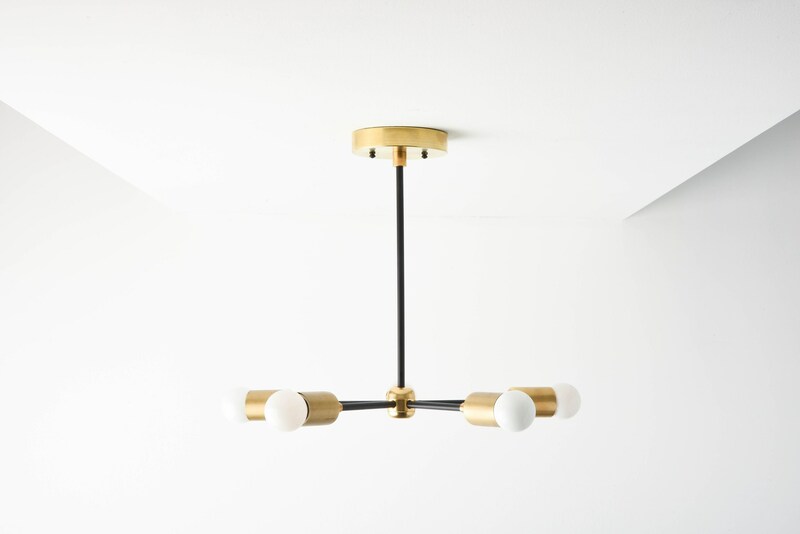 Well made, beautiful, and adds some mid century charm to our dining room! !